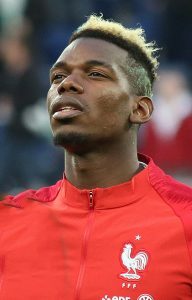 Real Madrid manager Paul Pogba has said that Paul Pogba would be welcome at the club should he decide to leave Manchester United. The midfielder has continued to reiterate how he would like to play for Real at some point in the future and Zidane has said that the Frenchman could have a place at Real Madrid. Zidane said: “I know him personally. He’s a different kind of player, he brings so much and there are few players who bring as much as he does. “He’s a midfielder who knows how to defend and how to attack. He knows how to do everything on the pitch. Pogba is currently enjoying his most profitable season at Old Trafford. In 37 appearances, scoring 14 goals and providing 11 assists. United are back in action on Tuesday night as they do battle with Wolverhampton Wanderers in the Premier League. Pogba is available at a price of 5/1 with BetVictor to open the scoring at Molineux.